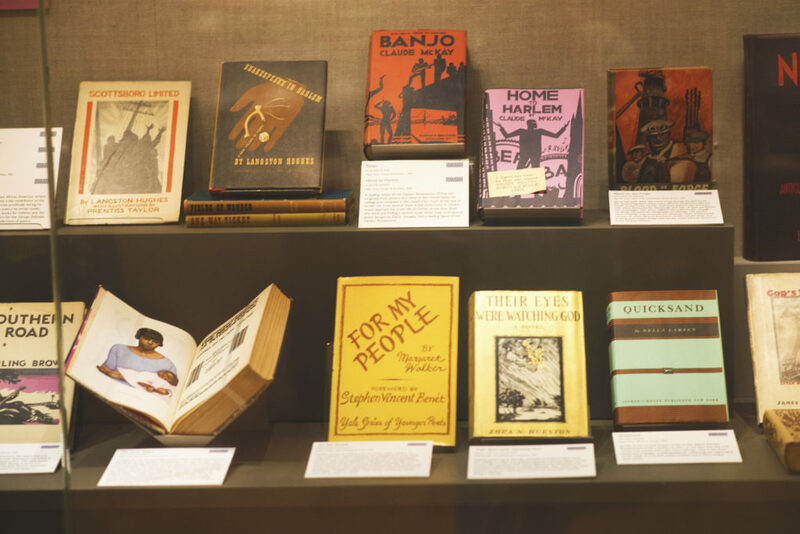 Treasures from legendary professor Leon Litwack’s African American history and culture book collection are on display through February in the Bancroft Library Gallery. Browsing “The Gift to Sing” exhibit offers viewers a chance to revisit milestones in the long journey of African Americans in this country towards full equality, freedom, and cultural expression. Photo by Alejandro Serrano for the University Library. Slave narratives and autobiography, drawings and photography, collections of spirituals, newspapers, novels and poetry, historical and sociological works — all with rich significance outlined in curator David Faulds’ captions — are among the works included. Litwack’s collection, most of which will come to the Bancroft as a bequest, originated in his teenage years in Santa Barbara in the 1940s, when the young Leon haunted a used bookstore called the Book Den. 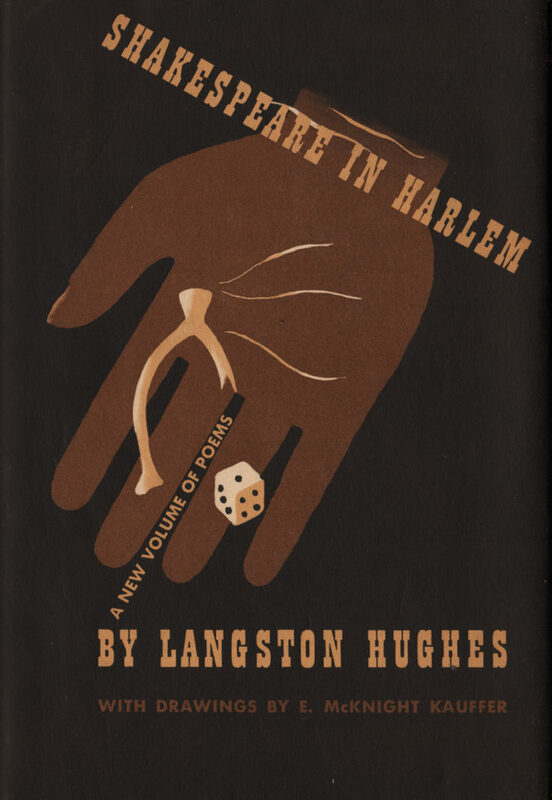 Langston Hughes volumes purchased then for a dollar or two are on display in the exhibit. Over six decades of continued collecting later — informed by his celebrated scholarship in African American history and culture — Litwack’s library is considered one of the best in private hands. On display in the Bancroft exhibit are Harlem Renaissance first editions in strikingly illustrated dust jackets; Bobby Seale’s copy of The Autobiography of Malcolm X, which Litwack had the good fortune to pick up for $5 at Moe’s Bookstore near campus; a copy of Narrative of the Life of Frederick Douglass, an American Slave inscribed by famous abolitionist William Lloyd Garrison; and Ida B. Wells’ rare and important pamphlet on lynching, The Red Record. The exhibit is organized in seven sections including the arts; California, society; literature and history, modern and early 20th century; slave narratives; and racial uplift (1890-1910). 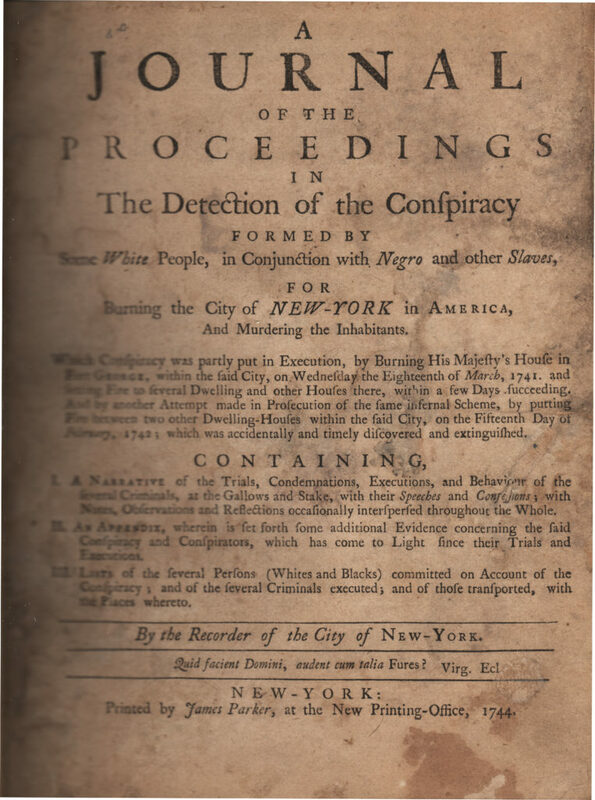 The oldest book in the exhibition dates from 1744 and reports on the execution of thirty blacks and four whites for their role in the Conspiracy of 1741, a supposed insurrection by slaves and poor whites. Like the Salem witch trials, this event is now seen by some scholars as a case of mass hysteria, in which a number of acts of arson were attributed to a criminal conspiracy. A 1919 history of African Americans in California took shape through research at the Bancroft itself. Author Delilah Beasley spent many years in Bancroft poring over California and black newspapers and archives to research her book. 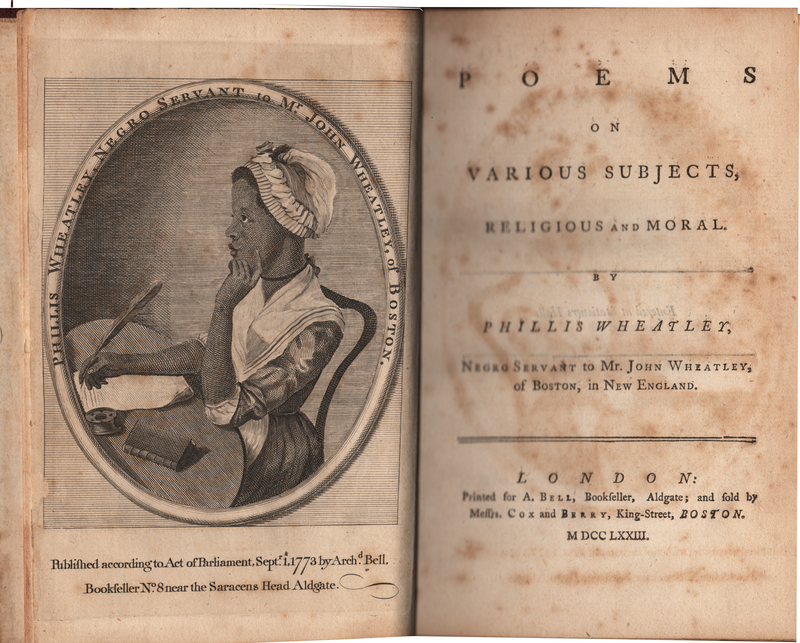 Less well-known materials are displayed alongside famous items such as the most popular novel of the 19th century — Uncle Tom’s Cabin, the 1852 anti-slavery classic by Harriet Beecher Stowe, and Toni Morrison’s 1987 novel Beloved. The range and depth of the collection reflects Litwack’s lifelong quest to uncover and to teach the history of race relations in America and the experiences of people long absent from the historical narrative. 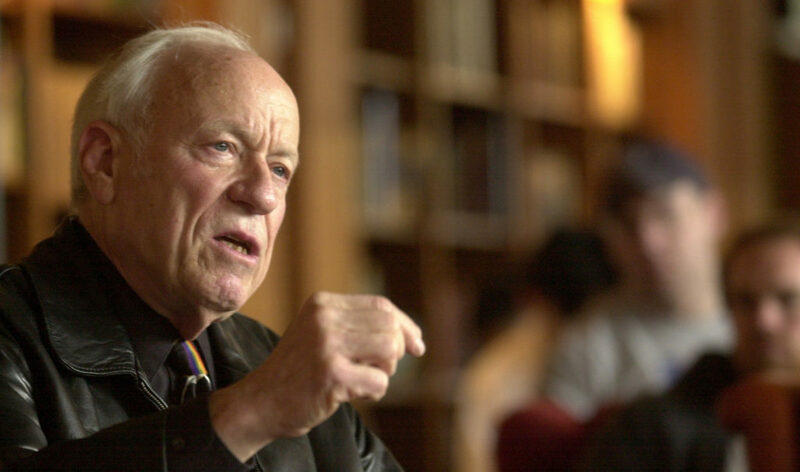 He has authored four major books and countless articles, and has been awarded the Pulitzer Prize and the National Book Award. Prof. Leon Litwack discusses his writing experiences Tuesday, March 12, 2002, as part of the Berkeley Writers at Work lecture series. (Photo by Noah Berger). 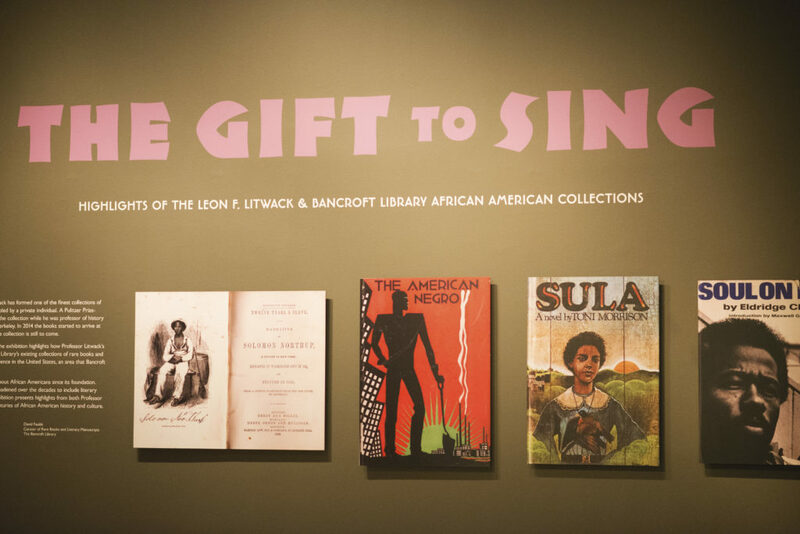 “The Gift to Sing: Highlights of the Leon F. Litwack and Bancroft Library African American Collections” is on display in the Bancroft Library Gallery through February 17, 2017, from 10 am to 4 pm.